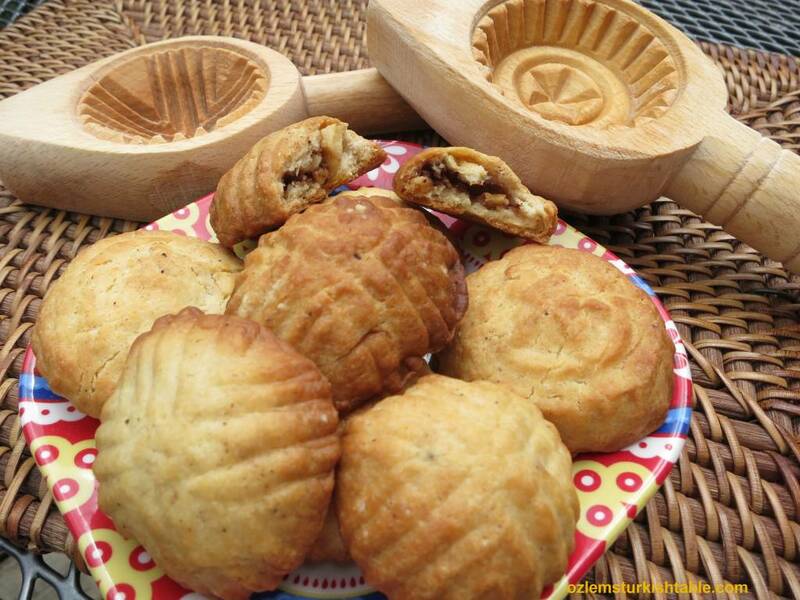 . . they are indeed one of the most delightful ‘snacks’ for me as they are not too sweet. A little-known gem outside of the region. Please can you tell me of anywhere on line I can buy Kombe moulds? Beautiful post, Ozlem! Just so happy to see three generations making these delightful cookies together. And Congratulations on being featured in the newspaper, it’s a great achievement…very well deserved. XxPeri. Özlem, Thanks for giving me the scoop on what those molds are that I’ve seen here and there on my travels. I confess that I don’t make sweets much anymore but these sound so delicious that I’m tempted enough to try. Actually, they also seem a bit Christmassy with the cinnamon and walnuts. Merhaba! I also love the photo of your daughter w/ anneanne! 🙂 I learned to bake from both of my grandmothers and wish I would’ve had time to learn more from them. Treasure those special moments! It looks like I’ll be coming to London next month with my hubby as he has some work meetings there. I’ll msg you with more details, but hopefully we’ll be able to meet up! 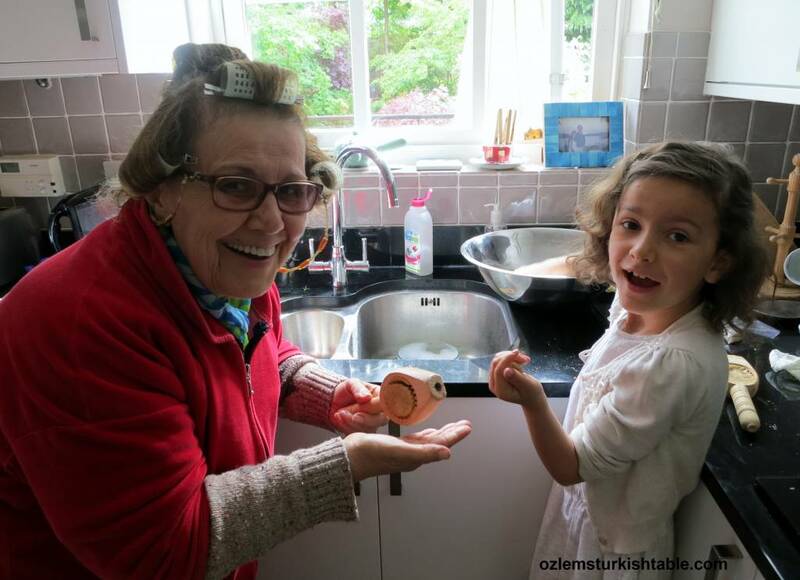 Merhaba Joy, indeed it was a special time spent together – the other day I was reminding the baking with anneanne, so lovely to see my daughter remembered every little detail, so wonderful, you’re right, moments to treasure! 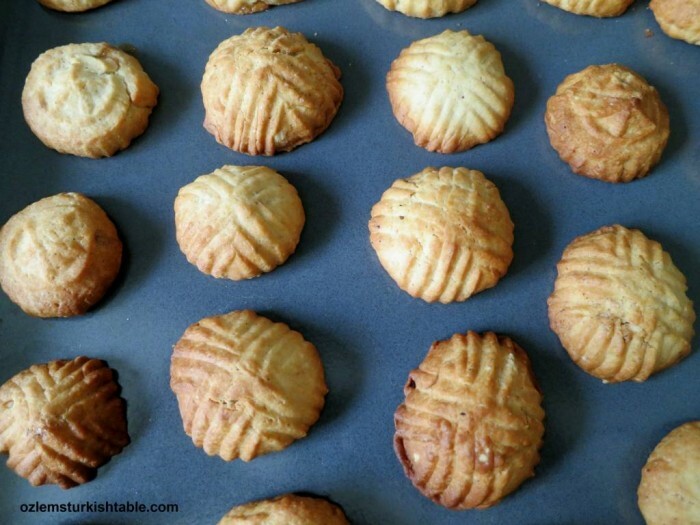 Great post and the cookies look delicious! But I must admit I am more fascinated by the spoons! I MUST have these!!! Best!!! I love the wooden biscuit presses. This is yet another recipe I haven’t heard of. 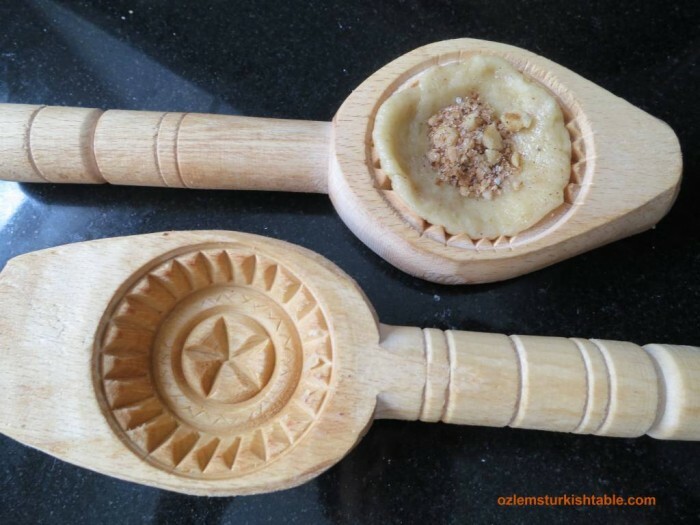 Many thanks Ozlen I already made the Antakya’s cookie with walnuts and they are delicious but I would like the recipe for the crumbly texture, with flavor of tahini, cinnamon and more with sesame on top and have the same name Antakya’s kombe cookies. Beautiful post. 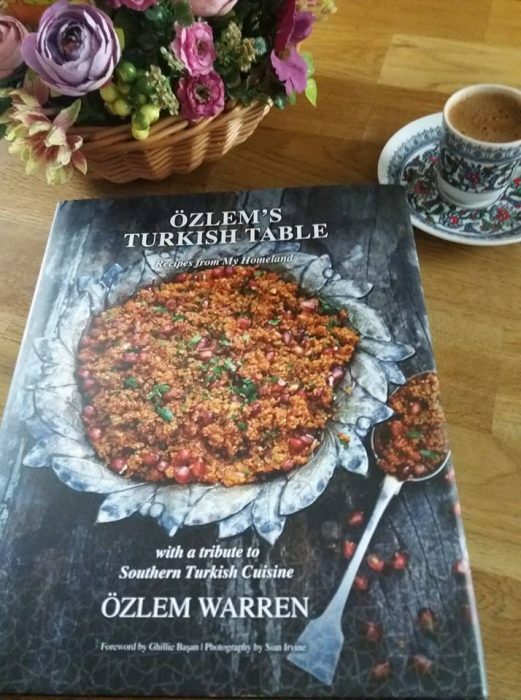 Bonjour Özlem – what a lovely story and pics! Had I only known what these forms were meant for when I recently saw them in Istanbul I would have bought them. Next time! Lovely to find your note Joumana, I feel kombe / ma’amoul is a bit like hummus; not sure where the exact origin is from but I do love to see variations of it through Middle Eastern cuisines. Antakya being by the border of Syria, I am sure share culinary influences – and I would love to try ma’amoul properly! It’s wonderful to be able to pass on traditional recipes and ways of cooking in this way. 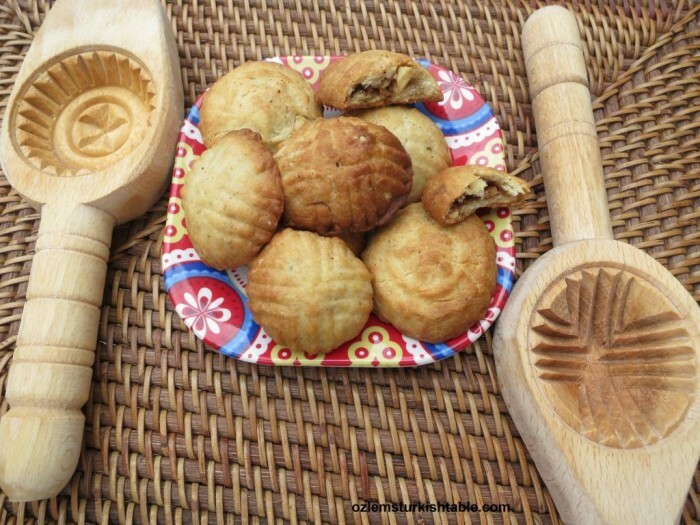 These cookies both look and sound delightful. Thank you Phil, very kind. Merhaba Deborah, I suppose you can – though you won’t be able to get the patterns. In that case, you may draw a little pattern gently with a knife. The dough has quite a bit of butter in it so it doesn’t really stick to the mold. If that’s the case, you may grease with a little oil if you like – hope it helps.